Michael A. Sarabia, CEO of DSW Commercial, developed and implemented DSW’s investment platform and strategy in the western United States. Prior to this investment platform, Michael worked on ground-up commercial real estate development with expertise in entitlement and construction. His extensive knowledge and experience in the areas of pre-development and due diligence have been a valuable asset in underwriting targeted investments. Michael brings a “hands-on” approach to this course of action. Michael’s ability to identify market voids and conduct in-depth feasibility studies coupled with his understanding of area demographics is the cornerstone of DSW Commercial. 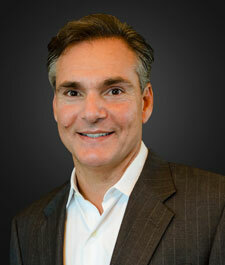 He has the experience necessary to navigate the complex equity and financing components of acquisitions. Michael is a graduate of the University of Arizona, a licensed broker in the state of Arizona, a member of Southern Arizona Leadership Council (SALC), a member of the International Council of Shopping Centers (ICSC) and a candidate of CCIM. James Hardman, Director of Asset Management & Leasing, oversees DSW’s managed portfolio including third-party asset management, lease administration, office association management, and facilities management. James is also involved in site analysis, acquisition and development of DSW investments. James has been active in the industry since 1997. 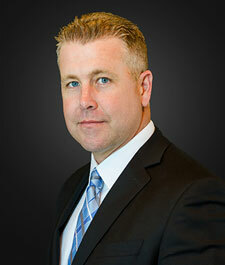 James joined DSW Commercial in 2004 as a commercial real estate agent and property manager. 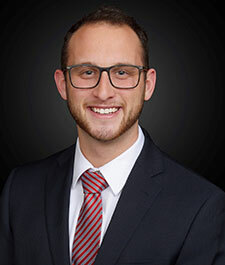 James’ brokerage transactions include the sale/ purchase of investment properties, tenant representation/lease negotiation, landlord representation /lease negotiation and owner/user acquisitions. A graduate of the University of Arizona with a B.S. degree in Regional Development, James is a certified member of the CCIM Institute, the International Council of Shopping Centers (ICSC), Urban Land Institute (ULI) and the Metropolitan Pima Alliance (MPA). Angela DiFuccia, Director of Property Management, is responsible for analyzing existing management, restructuring budgets, auditing vendor contracts, and updating property operations to DSW standards. 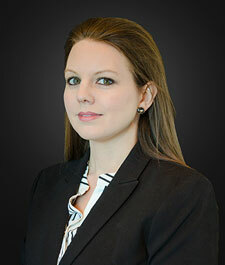 She began her commercial real estate career in 2005 and has been with DSW since 2010. Angela received her bachelors’ degree in business management and brings ten years comprehensive business experience in addition to real estate. She is a licensed Real Estate Sales Person, Certified General Appraiser, Registered Property Tax Agent, and a CPM candidate with the Institute of Real Estate Management (IREM). Christopher Lundin, Controller, handles all things accounting and finance for DSW. Chris joined DSW Commercial in 2016 after serving the University of Arizona as a manager of research funds. Chris graduated from Adams State University with a bachelor’s degree in accounting and has over ten years comprehensive accounting experience. Hunter Marcuson, Property Manager, is responsible for the management of a retail and office portfolio of approximately 225,000 sf in Tucson Arizona including Foothills Corporate Center at La Paloma. He is an MBA graduate from Bowling Green State University who joined the DSW team in 2018. Hunter received a bachelor’s degree in Communication with specializations in Sales and Entrepreneurship from BGSU. Previous work experience includes creating marketing campaigns for a multi-million-dollar restaurant franchise and leading sales teams to success at Discount Tire Co., one of the largest domestic tire retailers. 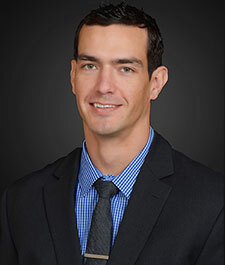 Hunter is a licensed Real Estate Sales Person and a member of Urban Land Institute (ULI). 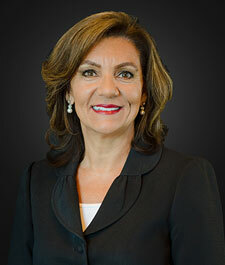 Sandra Sarabia, Assistant Property Manager, manages vendor relations and work orders for DSW. She began her career in real estate in 2008, joining DSW in 2015. Her deep sense of service and integrity are the foundation for delivering client service that exceeds expectations of tenants. Prior to real estate, Sandra owned and operated her own furniture and design company Casa Bonita and brings passion for creating functional aesthetic design to commercial real estate. Sandra is a licensed Real Estate Salesperson. Mandy Verdugo, Assistant Property Manager, is responsible for tenant relations, marketing, and accounts receivable/payable functions at DSW. 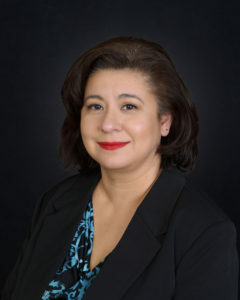 She began her career in commercial real estate in 2001 and has worked directly with the Campbell Plaza Shopping Center since 2005 through the two previous ownership entities. Mandy brings an additional seven years of sales and administrative experience to DSW. She is a licensed Real Estate Salesperson and an active member of Building Owners and Managers Association (BOMA).